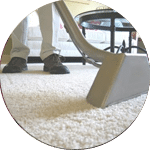 We are an established Turkish rug cleaning service provider with vast experience in carpet cleaning. We have served customers in Kuala Lumpur, Selangor or other parts of Peninsula Malaysia for many years. Of all the carpets available in the market, the Turkish rug is the most decorated, has the best texture and motifs. However, cleaning it can be a problem. If you contact us, it will prove to be a minor issue. Learn how helpful we can be to you. 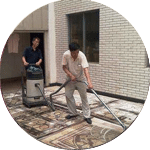 Why you should engage our Turkish rug cleaning service? Quick response: We may arrange pick-up and delivery of your Turkish rugs in a few hours. Quality service: Our firm uses the most superior equipment and cleaning products in the industry today as at friendly prices. Tips and advice: We provide some tips to ensure that you protect your carpet, maintain its colour and facilitate a longer carpet life. Dust removal – We have that superior vacuum cleaner that you badly seek. We will meticulously remove dust particles, pet hairs and still maintain the fibre of your carpet. Stain treatment – Direct spots may damage the colour of your carpet. We examine the stains and their depth, then apply the most suitable cleaning agents. The cleaning products ensure we maintain the freshness of your Turkish rug. Washing – Our operatives will then use various methods to wash it; dry cleaning, steam or water cleaning. We first must inspect the fabric/fibre to choose a manner that is suitable for it. Disinfection – We remove odours; we don’t internalise them. We quickly remove all cigarette, pet urine and any other smells. We have those products that you have been looking for. Having the beauty of your Turkish rug restored solely depends on a professional cleaning service. You can rely on our experience, excellent rug cleaning methods and superior Turkish rug cleaning equipment. Why wait any longer for Turkish rug maintenance tips or a cheap, quality service? Contact us now to get your friendly price quote. I have a special request for my Turkish rug cleaning service, can this be done? 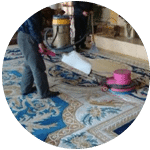 We understand that sometimes our customer have special requests for Turkish rug cleaning service with regards to timing and other matters such as stain removal. In this scenario, you can contact our customer representative team at 017-232-6491 to discuss your Turkish rug cleaning request. 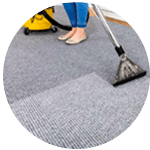 Our customer service team will reply to your request within a few working hours to find out more and discuss further about the Turkish rug cleaning service that you require. Subsequently, we will issue you a quotation and an invoice for the Turkish rug cleaning service. 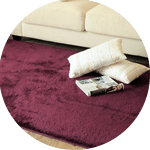 Our Turkish rug cleaning service is available in Peninsula Malaysia from Kuala Lumpur, Selangor, Ipoh, Johor, Malacca and Penang. Speak to our team to enquire more about the Turkish rug cleaning service that we provide in your area.